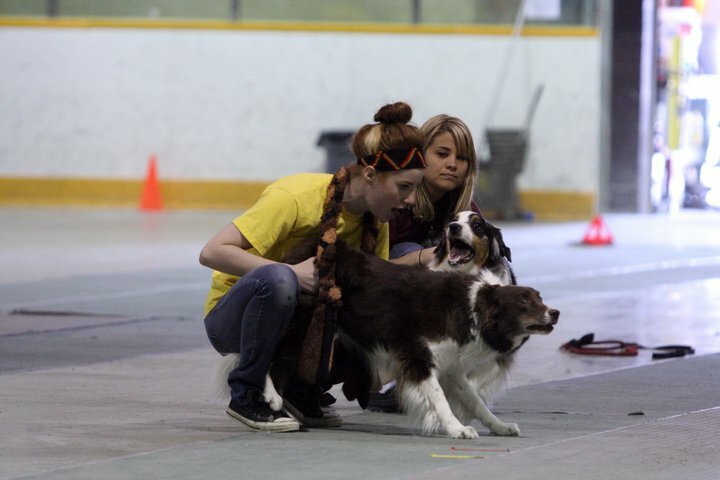 We are a small flyball club in Winnipeg, Manitoba, Canada. We compete in Region 8 of the North American Flyball Association. We host one tournament a year in June (NAFA) and while we are certainly not the most competitive team in the region, we have fun trying! 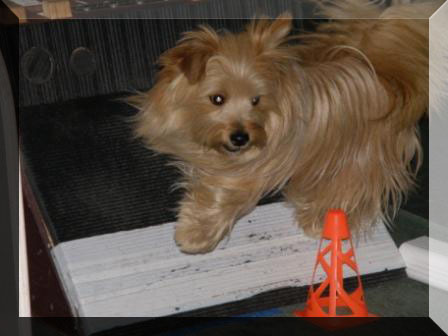 Flyball is a recreational dog sport that began in the late 1960′s and early 1970′s. Teams consist of 4 dogs who race each other in a head-to-head format. Similar to a relay race, each dog runs over four jumps and pounces on a spring-loaded box that releases a tennis ball. Each dog must catch the ball and race back over the jumps to the finish line before the next dog can go. The first team to have all four dogs run without errors wins. Flyball provides an entertaining and active way to interact with one's dog and other dog lovers in an environment that is fun and allows the dogs exercise and enjoyment. It is especially a great way to burn off the energy of dogs with a high drive to work, such as Border Collies and terriers.